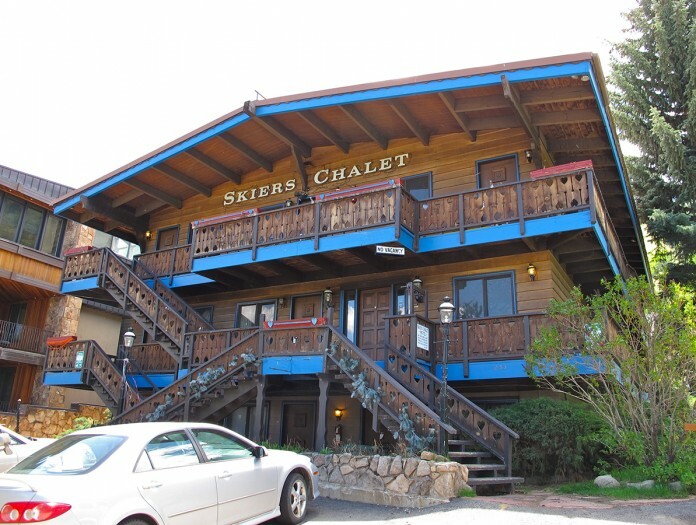 The Skiers Chalet Lodge, built in 1965, exemplifies the Chalet tradition perhaps better than any other building in town. Located along the ski runs, it features a shallow pitched gable roof, deep overhanging eaves and balconies, decorative cutouts, and wood and stucco materials. This is one of a group of similar structures (Skiers Chalet Steakhouse, the Holland House, Shadow Mountain Condominiums, Norway Lodge, and Mountain Chalet) that surrounded Aspen’s first chairlift, Lift 1. This is the style of architecture that many residents at the time felt was the appropriate imagery for the steadily growing ski resort.